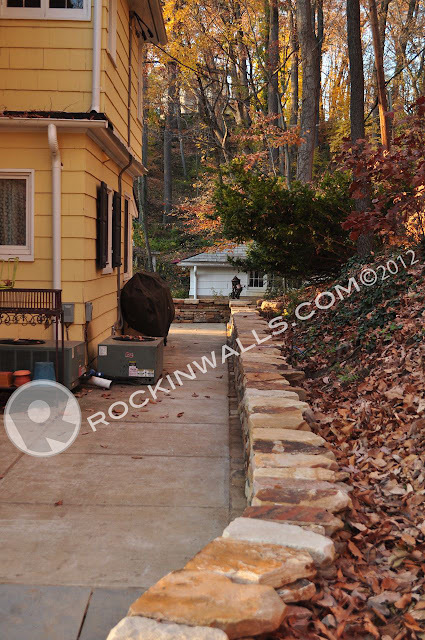 November 2102 Merrymount Roland Park Baltimore Maryland. 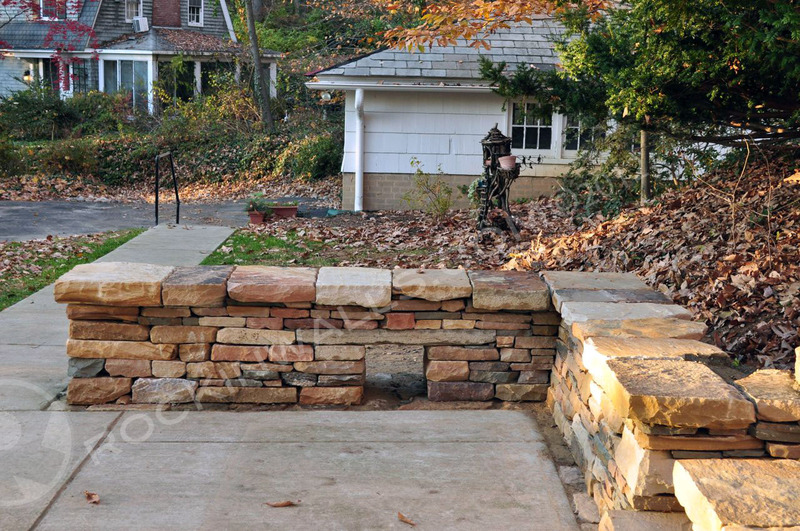 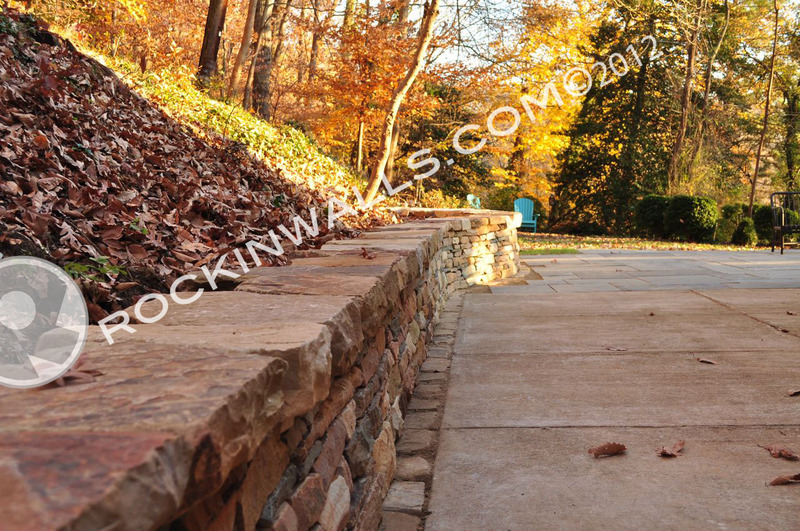 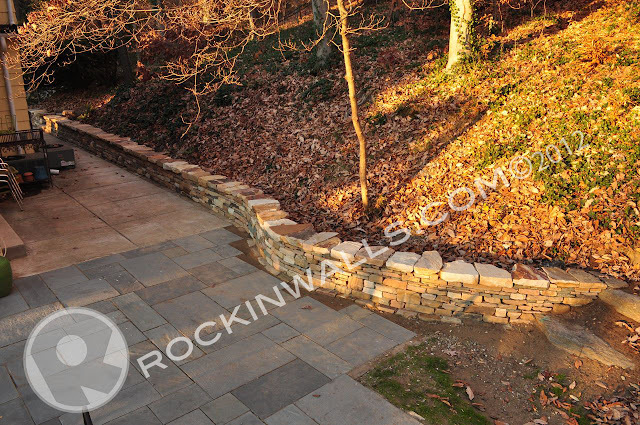 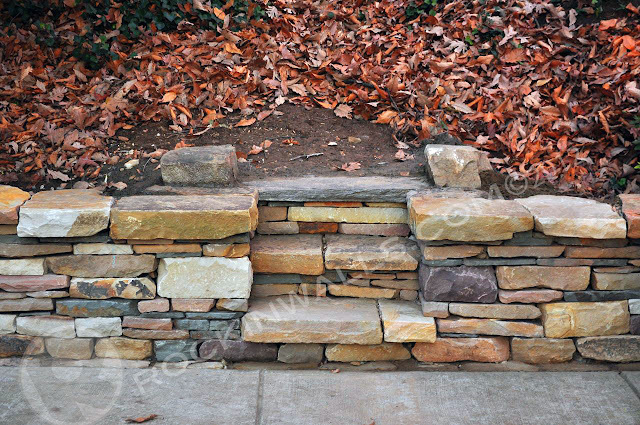 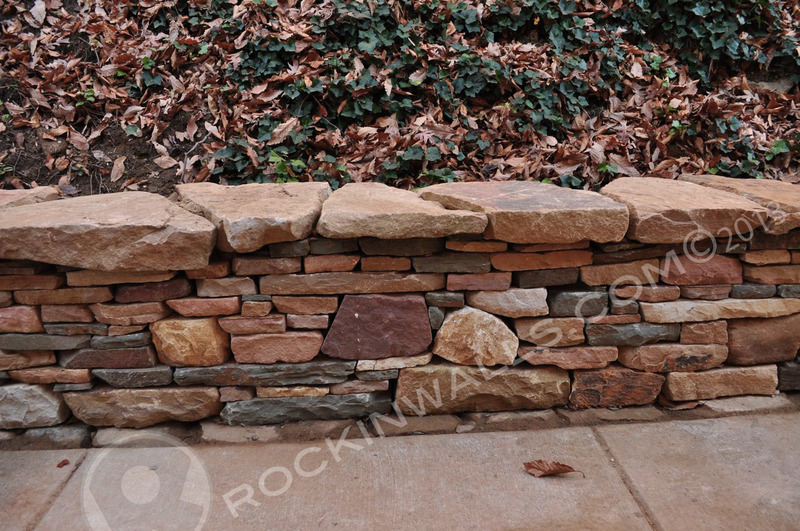 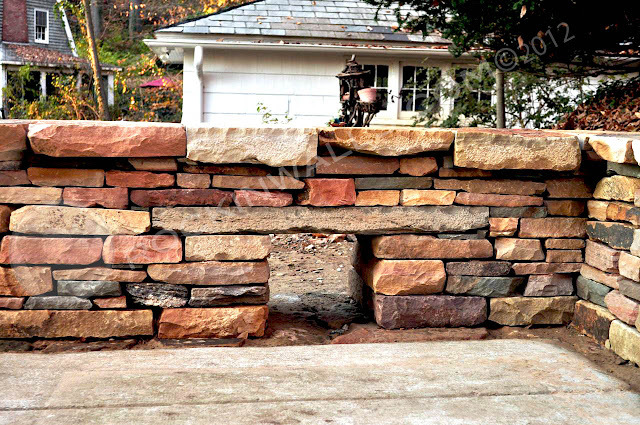 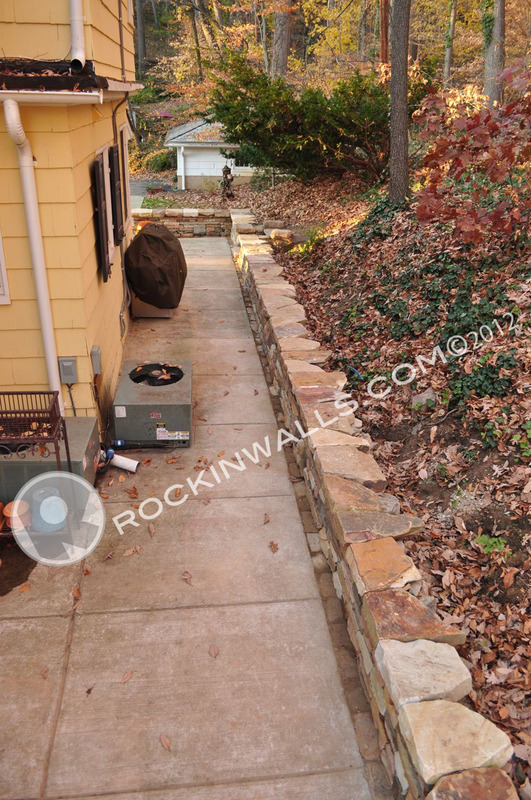 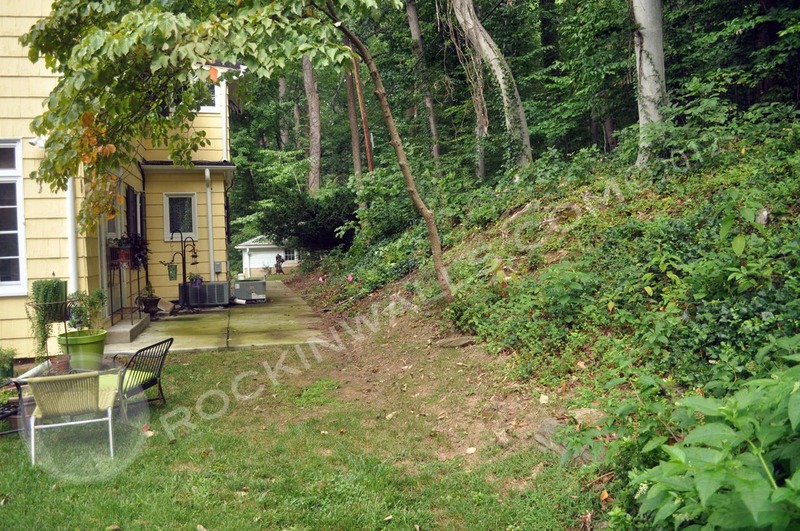 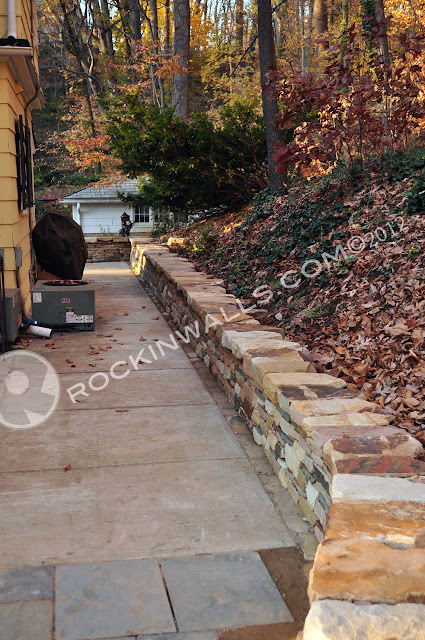 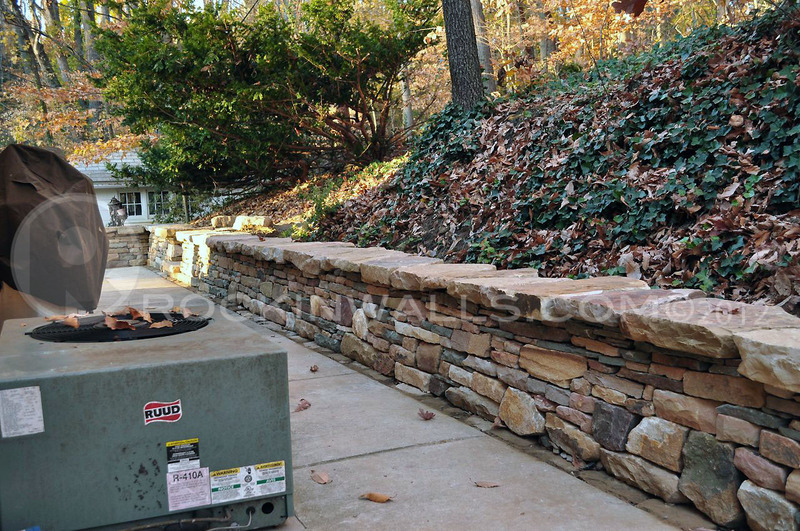 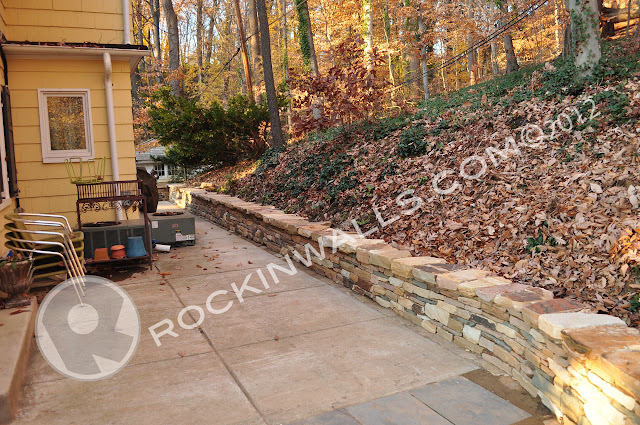 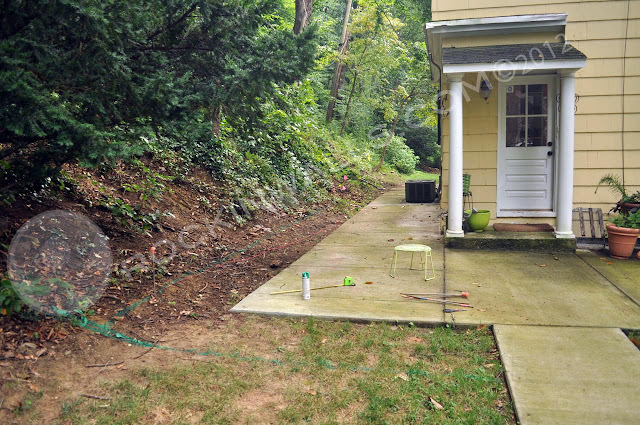 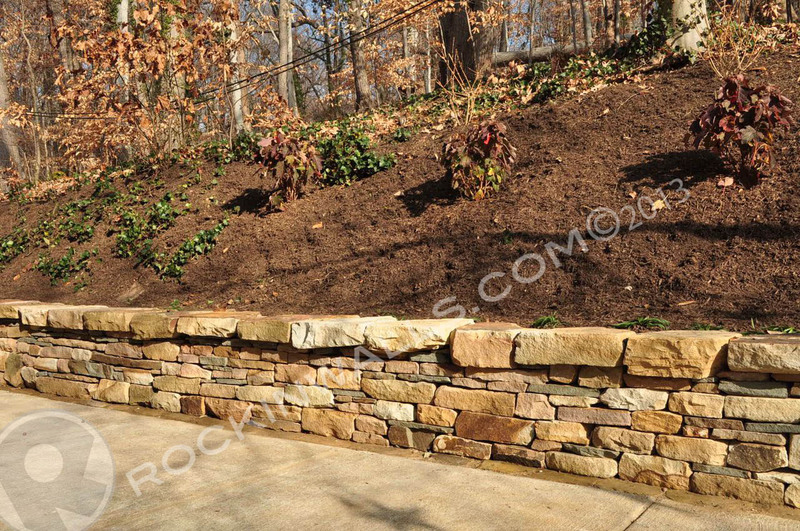 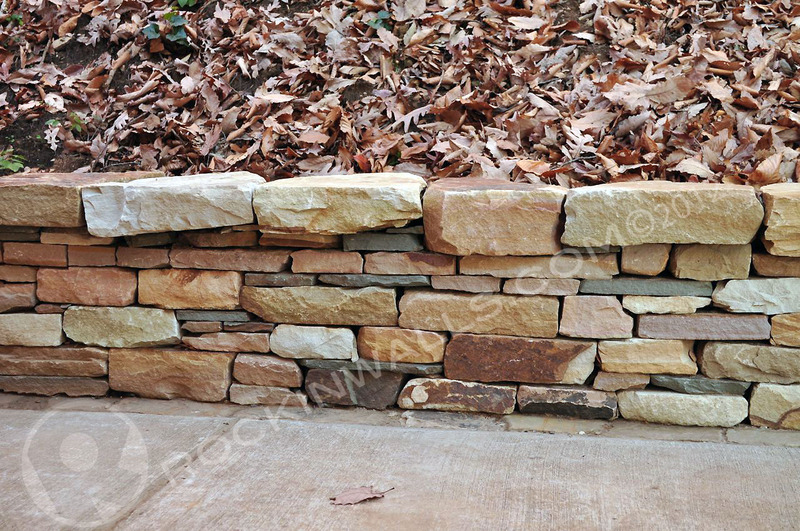 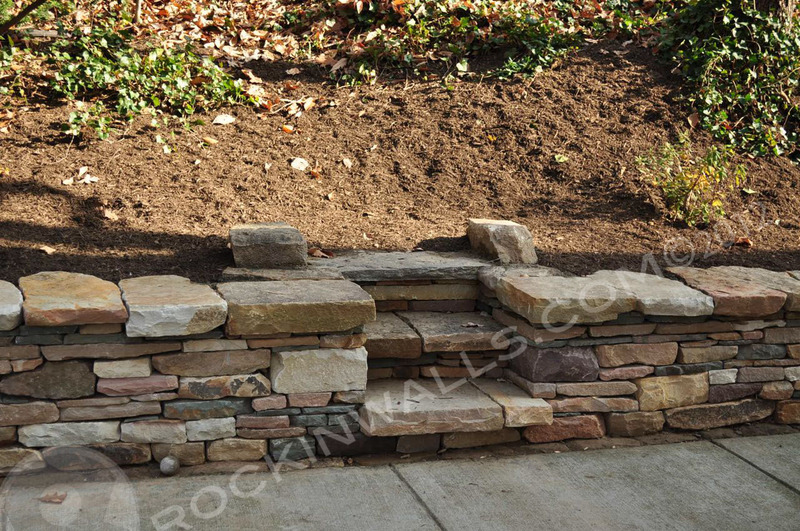 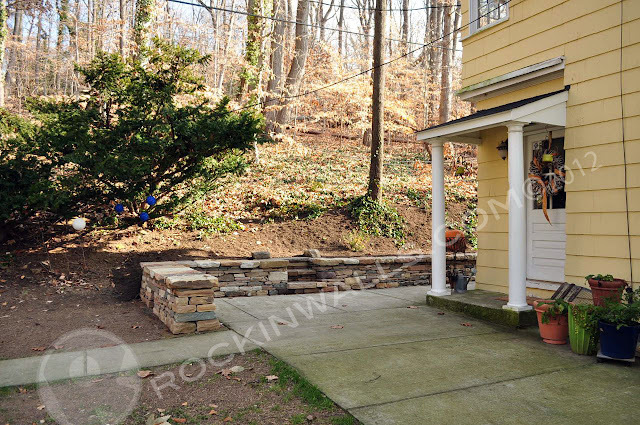 Dry Laid Stone Construction, Retaining wall 80' L x 20" H, with over hanging flat cap stones, 4" protruding foundation, foundation stones set 4" to 6" below grade in earth, 90 corner, curve, free standing wall with wall end, drain lintel 11" H x 12" W and 3 steps. 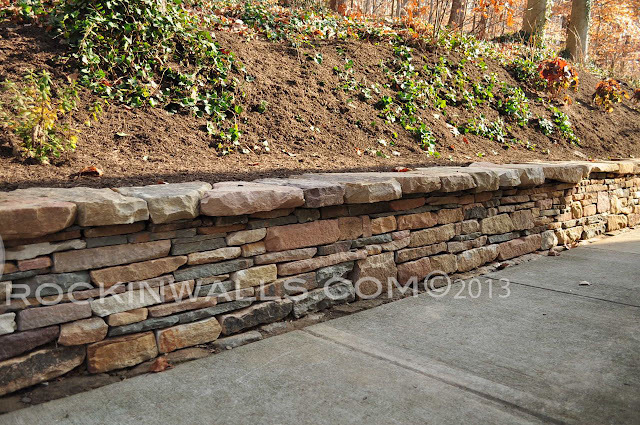 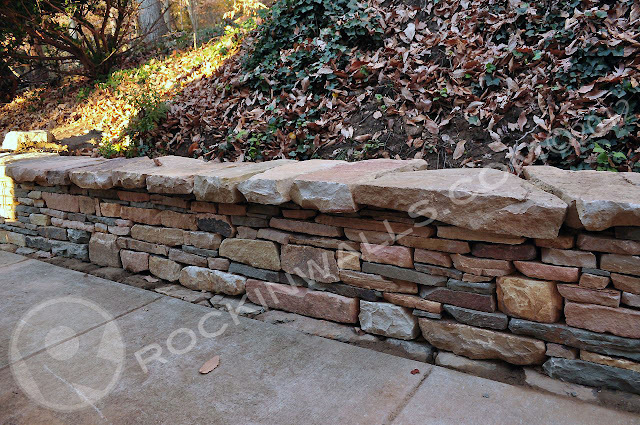 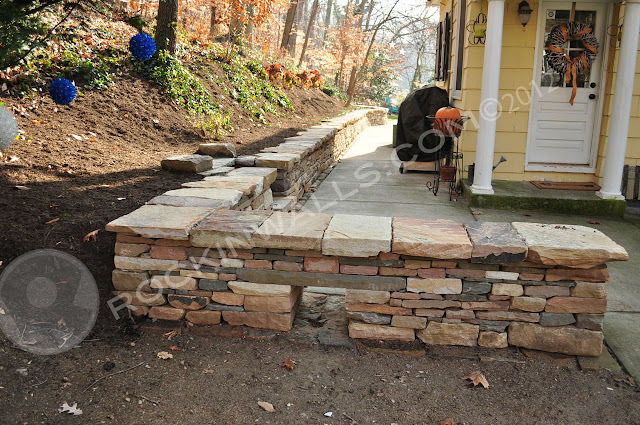 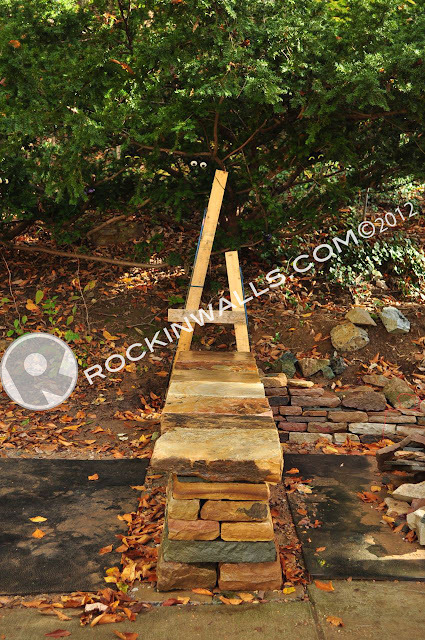 Built with Western Maryland stone from Bedrock Stone Quarry (thank you Donna and Jeremy for all your help!) mixed with PA Blue stone. Back of wall and packing stone local from Meadow Creek Farm Hampstead MD. 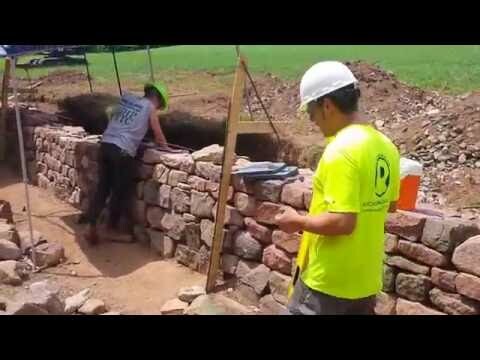 Build time 30 days. 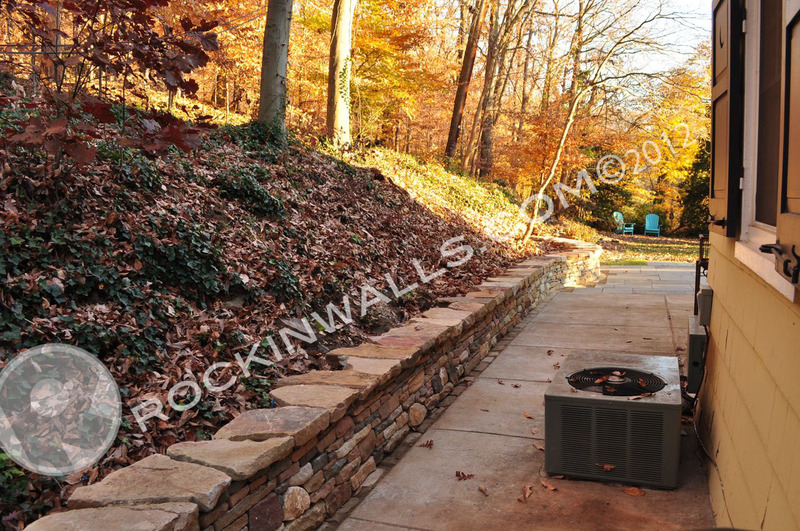 Primary function setting wall, helping to define the space for entertaining. 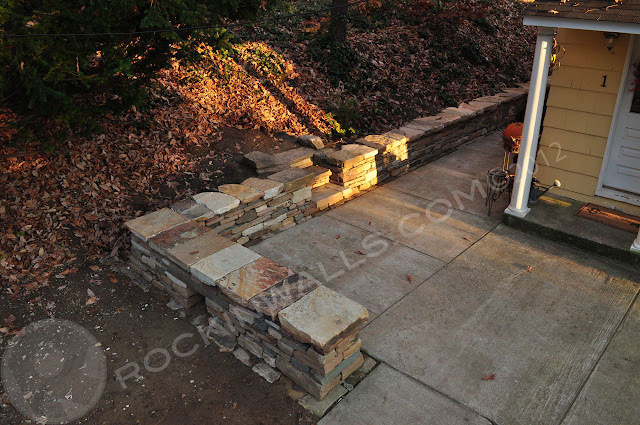 Wall End with free standing wall and corner. 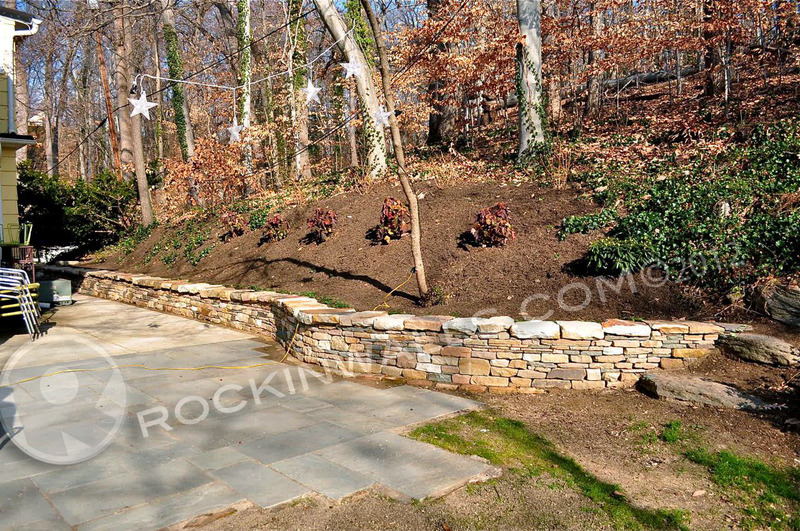 Thank you for viewing the Merrymount project. 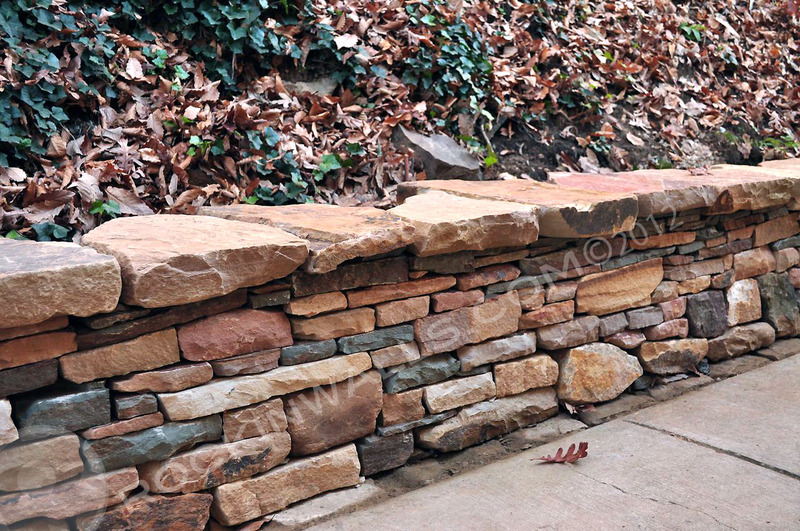 Please feel free to comment!